Business Evolution was established June 2007 by Sarah Coleman and Andrew Barratt to help organizations develop the capability and capacity they require to achieve their ambitions. Both directors have strong commercial, management and leadership experience at senior levels across a variety of industry sectors. Sarah leads and supports the shaping, design and implementation of business critical projects in the UK and internationally in order to help organizations deliver better outcomes and value. She spent her early career in software and telecoms, both in development and leading strategic programmes. She has worked across a variety of industry sectors including government, healthcare, financial services, technology, food and drink, and telecoms. During her career, she has gained extensive commercial, information systems and leadership experience across a wide range of industry sectors at senior and board level. As a result, she brings with her an entrepreneurial mindset and a wide range of diverse perspectives. Her clients say they value her ability to challenge positively and constructively, her ability to provide clarity and focus, and her excellent communication skills. Sarah holds an MBA from Cranfield School of Management and is a Visiting Fellow at Lincoln University, UK. She co-authored Project Leadership 3rd edition (Gower, 2015) and contributed “Dealing with Power and Politics” to Business Analysis and Leadership (Kogan Page, 2013). Sarah is regularly invited to speak at business schools, events and conferences. Andrew began his career as a geologist in open cast mining before joining the British Army, rising to Lieutenant Colonel. He was responsible for major MoD programmes in Operational Requirements and the Procurement Executive. After leaving the Army, he gained his MBA from Cranfield School of Management then established himself as an independent management consultant working at Board level. He took up the invitation to become UK & European Managing Director and Board Director for a US defence company providing virtual simulation and training across the globe. Andrew co-founded Business Evolution in 2007. He works at the senior strategic level with organizations and specialises in the defence and security industry, and in sales and marketing. Donnie specializes in developing organizational leadership capability at the individual and organizational level. Typically, this involves providing consultancy, training or mentoring assistance. Widely recognized as contributing to the ‘people and organizational side’ of project management thinking, he is in much demand as a speaker and writer. He is passionate about delivering value by incorporating the latest behavioural, organizational, cultural and human resources thinking. 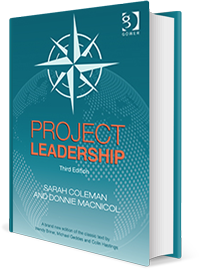 Donnie co-authored Project Leadership 3rd Edition (Gower, 2015) with Business Evolution Director Sarah Coleman. Business Evolution has worked with Donnie to design and deliver organizational development initiatives across a range of sectors. David specializes in helping organizations develop the leadership skills required to deliver results in today’s competitive and demanding environment. He has many years of experience in leadership and team development, and behavioural change management at board level of FTSE 100 companies. David’s early career was focused on learning and development, progressing to Director of Leadership Development for Boots plc and responsible for implementing a Leadership Development strategy for Boots senior management worldwide. He has also worked in the National Health Service, with Strategic Health Authorities and Primary and Acute Trusts. He regularly works at the Joint Services Staff College with senior officers in the Armed Services, and is Associate Consultant with Cranfield School of Management. David works with Business Evolution predominantly in leadership and team development, and coaching. Jo Ann is a communications consultant specializing in stakeholder and workforce engagement. Typically, she acts as communications lead on complex HR and technology projects for multi-nationals and corporates. She is known for clarifying the complex and for concise, articulate and easy-to-understand communication activities that build measurable rapport. Her clients value her deep understanding of audiences. Jo Ann established Worth Working, a virtual annual conference looking at employee engagement and what makes an organization worth working for. Jo Ann works with Business Evolution, predominantly in communication and engagement for projects, programmes and portfolios.